as well as reconstructive and replacement surgery of the knee and shoulder. Society, an honor given to those graduating in the top 10% of their class. medicine and hip, shoulder, and knee arthroscopy and reconstruction. Sports Medicine, and the Arthroscopic Association of North America. staying active with running, golfing, skiing, yoga, and group fitness classes. 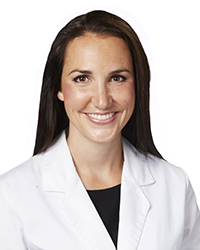 Read More About Sheena Black, M.D.